Nouriel Roubini. Source: a video screenshot. 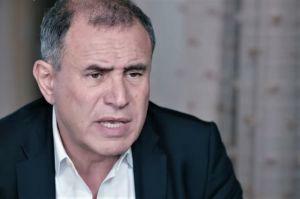 Nouriel Roubini, American economist dubbed Dr Doom for predicting the 2008 financial crisis, is taking another shot at crypto: now, he tweets how crypto is “more centralized than North Korea.” The crypto community, from big names to everyday people, were quick to tear his argument down. While most people in the community are wondering where he got these ideas from, others are pointing out flaws in his thinking: “He conflates the entities that are centralized, with having a choice whether or not to use those entities. (And, different cryptos are different, so this generalization is kind of invalid anyway. ),” explains Reddit user u/Codependentte. There are those tagging Vitalik Buterin, a co-founder of the Ethereum platform, in their replies to “set this old man straight,” while Reddit roots for Andreas M. Antonopoulos, the famous Bitcoin evangelist, to take him on: “I will pay to see a debate Antonopoulos vs. Roubini. It will be a piece of cake for Andreas,” writes u/chek2fire. Moreover, on October 11, the U.S. senate Committee on Banking, Housing, and Urban Affairs will meet in open discussion to conduct a hearing on “Exploring the Cryptocurrency and blockchain Ecosystem.” Nouriel Roubini is one of the witnesses at the hearing. Dr Doom vs. Captain Crypto: Fight Over BTC ''Suckers" and ''Bulls**t"